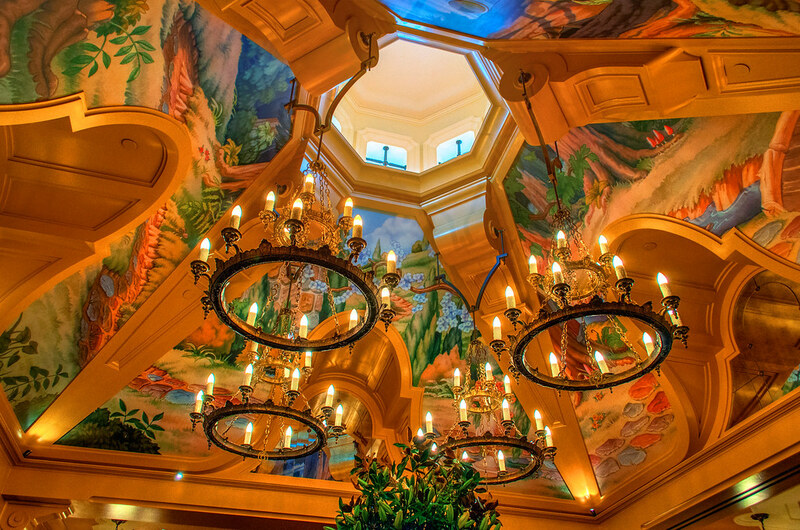 Chandeliers on the ceiling of the Carthay Circle restaurant, with a mural depicting Snow White. This entry was posted in Buena Vista Street and tagged carthay, ceiling, chandeliers, restaurant, snow white. Bookmark the permalink.